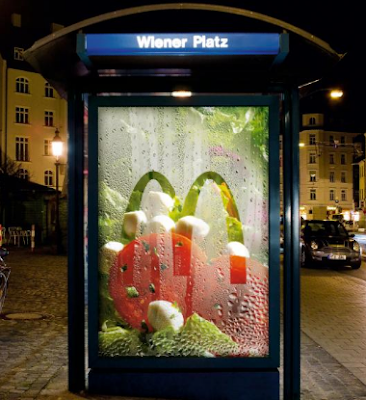 I thought this was eye catching - part of McDonald's Fresh Salads campaign. Leo Burnett are the agency. They took silver in the Media category in Cannes for their campaign where they actually planted and grew salad on a billboard over a 3-week period. You can see the video here. Found the ad at Scamp's blog. There was a bit of chat going on about the awards if you are interested.